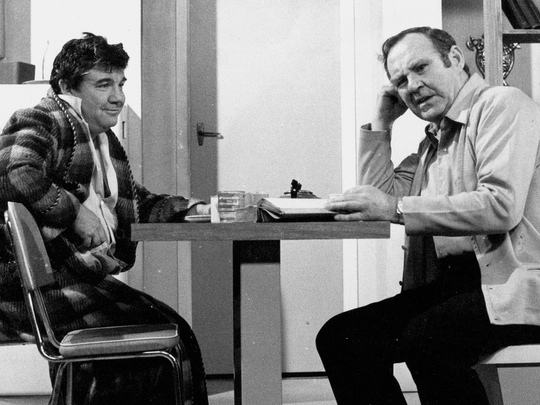 Close to Home first screened on TV One in May 1975 and ran for eight years. The popular and ground-breaking series was New Zealand television's first soap opera. It was based in Wellington and centred around the trials and tribulations of the Hearte family. At its peak in 1977, Close to Home attracted a twice weekly audience of one million viewers. In this special edition of ScreenTalk, cast and crew reminisce about their time with Close to Home. The interviews are with director/actor John Callen, writer/producer Keith Aberdein, writer Judy Callingham, and actors Janice Finn, Ilona Rodgers, Jeffrey Thomas, Danny Mulheron, Ken Blackburn and Ginette McDonald. This video was first uploaded on 2 December 2013, and is available under this Creative Commons licence. This licence is limited to use of ScreenTalk interview footage only and does not apply to any video content and photographs from films, television, music videos, web series and commercials used in the interview. Interviews - Andrew Whiteside, Ian Pryor; Camera – Andrew Whiteside, Leonardo Guerchmann, Alex Backhouse; Editing – Andrew Whiteside.